consequences of unbalance in the oceans from the IUCN red list. 1. 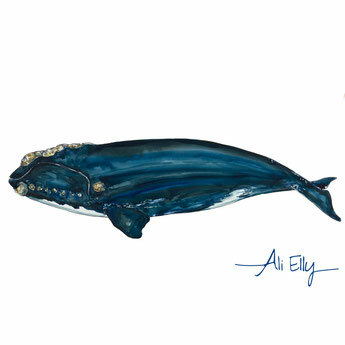 The species is named by early whalers who considered them slow-moving and easy to catch making them the ‘right’ whales to hunt. 2. 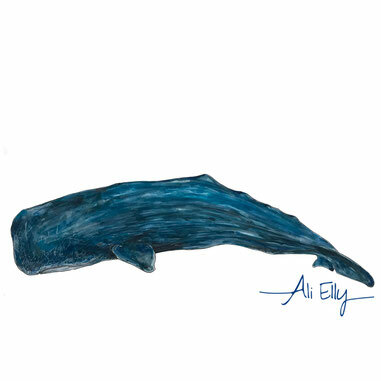 It has been illegal to hunt right whales since 1935. 1. This are the largest fish on the planet and in no way related to whales. 2. IUCN red list moved this species just a few years ago from vulnerable to endangered implying it faces a very high risk of extinction. 3. The main threat to whale sharks is the growth of unregulated fisheries which supply an international trade for shark fins, liver oil (used to waterproof wooden boats), skin and meat in East Asian countries. 1. Their average weight has halved since the 1970’s. 2. 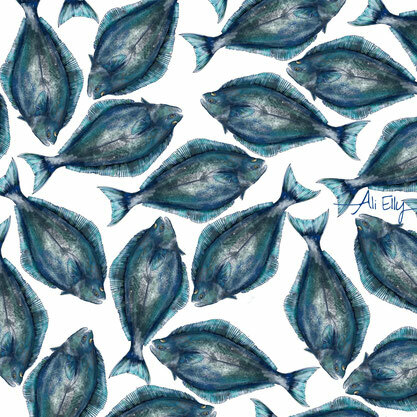 Heavily overfished, the Atlantic bluefin is a highly sought-after for sashimi in Asia. 3. 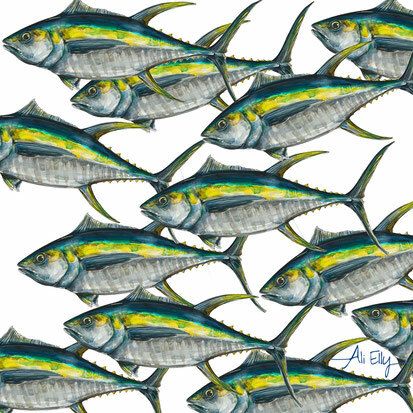 Tuna are a top predator in the marine food chain so they maintain a balance in the ocean environment. 1. It has a brain five times the size of a human’s. 2. Once a sperm whales reach maturity, they have no predators capable of killing them except man. 3. Main threats include being harmed or killed by chemical pollution, noise pollution, fishing net entanglement and collisions with ships. 1. The largest species of skate in the world, they have between 40 and 56 rows of teeth. 2. Decades of overfishing have damaged the seabed that this fish relies on. 3. You can help by avoiding eating 'ray wings', sometimes labelled as Rays, sadly these can often be Skates. 1. This is the most heavily exploited fish in world history. 2. 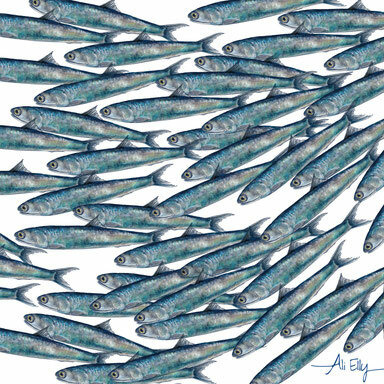 Despite their vital role in the ecosystem food chain, anchovy fishing continues to be managed using decades-old data. 3. Rising sea temperatures impacts their population. IUCN Red listed as least concerned. 1.The tusk has sensory capability, with millions of nerve endings inside. 2. Newborn narwhal are speckled blue-grey, teens are blue-black, adults are speckled grey and old narwhal are almost all white. 3. 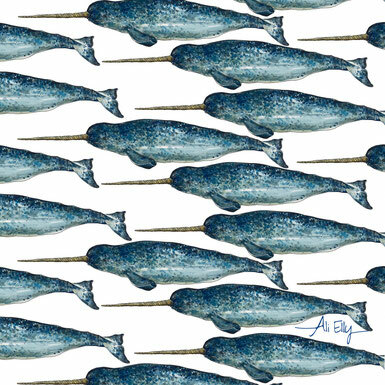 One of the main threats to narwhals is the rapid climate changes in Arctic warming. Very few laws have are in place to protect this species. 1. In the UK, Atlantic cod is one of the most common kinds of fish to be found in fish and chips. 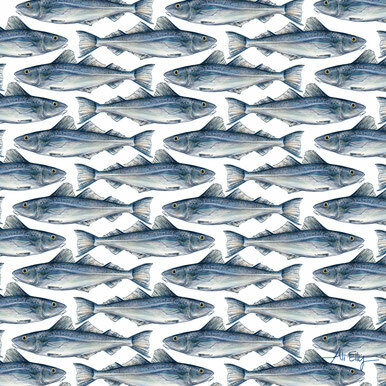 As fisheries have become more efficient at catching cod, overfishing has caused cod populations to decline. 2. Atlantic cod can change colour at certain water depths, going from grey-green to reddish brown. 3. The barbel on its chin acts as a sensory mechanism to help find food. 1. Population numbers have fallen sharply, and there are even fears the sea bird could be heading towards extinction within the next 100 years. The decline in numbers is caused by their limited breeding population and low reproductive rate, laying just one egg a year. 2. They are hunted by humans and other animals. 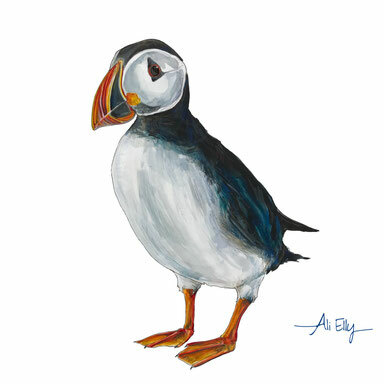 Smoked or dried puffin is considered a delicacy (or a flavouring for porridge) in places such as Iceland and the Faroe Islands. 1. 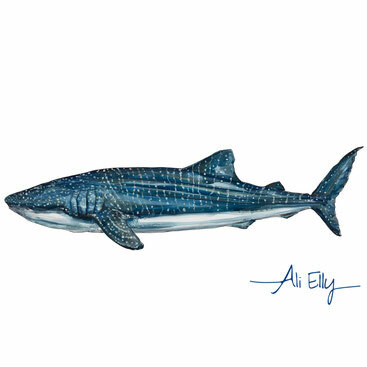 This shark gets its name from the smooth and silky texture of its skin. 2. The silky shark has declined rapidly because of industrial fishing, more than 5,000 silky sharks die each year in the nets of vessels fishing for tuna. 3. 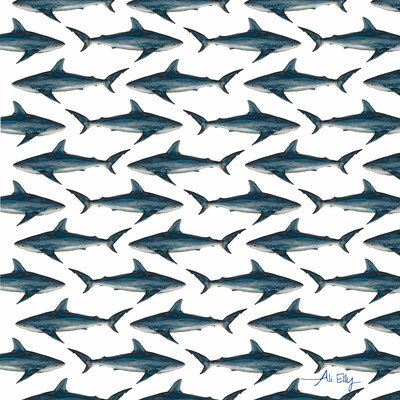 Silky Shark is one of the three most traded shark species in the global shark fin trade. 1. With fewer than 30 remaining this is the world’s most rare marine mammal sadly now on the edge of extinction. 2. 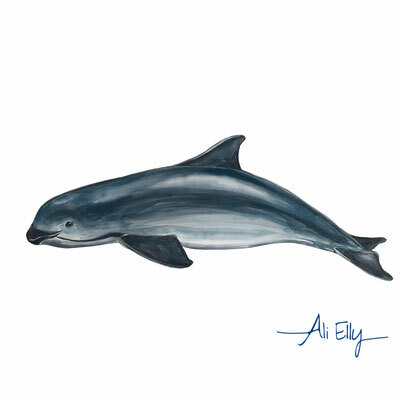 The vaquita, which means "little cow" in Spanish. 3. While vaquitas are not targeted by fishermen, they are being driven to extinction due to bycatch from the illegal totoaba trade. The totoaba is in high demand for its swim bladder, a gas-filled internal organ that allows the fish to ascend and descend by controlling its buoyancy. The swim bladder is highly prized as a traditional health food in China and is subject to skyrocketing demand. 1. There are approximately 55 species of seagulls. 2. As the result of disease, pollution, and habitat loss, new evidence suggests that if the decline continues the species may warrant uplisting to Near Threatened. 3. 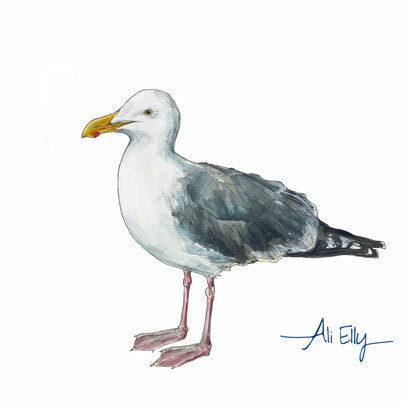 Like many seagulls, the European herring gull eats a variety of prey and will hunt and scavenge for food. In today’s ecosystem, garbage now accounts for a large percentage of this gull’s diet. 1. The Atlantic halibut is the largest flatfish in the world, the record fish weighing more than a baby African elephant! 2. After decades of harvesting this popular eating fish, the population of Atlantic halibut now remains at less than 10 percent of what it was in the 1950s. 3. Atlantic halibut are farmed in Scotland but unless more extreme measures are taken soon, it is very likely that wild Atlantic halibut will quickly disappear. 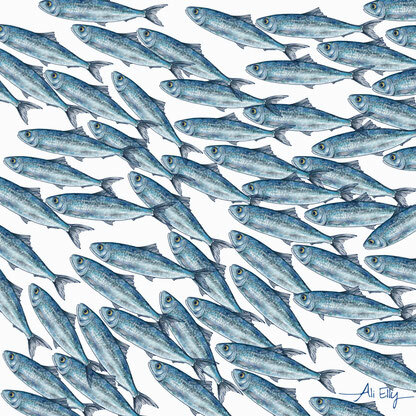 ‍1.This small, shoaling fish is of high level commercial importance however there is much confusion over the name of this species and it is often confused with other similar species. 2.European pilchards can be sold fresh or frozen, although UK consumers are most likely to come across this species tinned or canned. 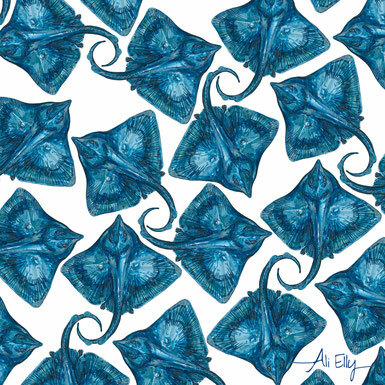 This species is also used as a commercial fishing bait on long-lines. 3.This fish is a forage species providing prey to many larger fish and marine mammals, large scale removal can have knock-on effects. 1.Global expansion and technological developments had a major impact on tuna fishing this overexploitation risks stock collapse. 2.The yellowfin tuna is one of the fastest swimmers in the ocean which is why in some locations they can be found swimming with dolphins. 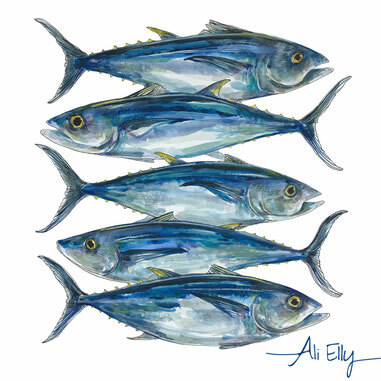 3.Tuna contains more mercury than other popular seafood that equals or exceeds a person’s weekly reference dose.